Dr. J. Mark Wrighton has been named Dean of the College of Public Affairs and Administration (PAA) at the University of Illinois Springfield, pending approval by the University of Illinois Board of Trustees. Wrighton holds a Ph.D. in Political Science from the University of Iowa and will be coming to UIS from the University of Southern Mississippi, where he has served as an associate dean and is a member of the tenured faculty. "I am excited about the opportunity to collaborate with those at the forefront of UIS' public affairs mission. As a lifelong experiential learner and teacher, I greatly appreciate their efforts in this endeavor,” said Wrighton. His areas of research expertise include American political institutions, congressional elections, and political behavior, and he is a frequent national commentator on American elections and local political trends. “In assessing Dr. Wrighton’s strengths, the search committee noted that he will bring a strong and inclusive style of leadership, a commitment to academic excellence, and an appreciation for interdisciplinary collaboration to his new role as dean. I certainly agree with that assessment,” said Dr. Lynn Pardie, UIS Provost and Vice Chancellor for Academic Affairs. Wrighton has published research in the American Journal of Political Science, The Journal of Politics, Legislative Studies Quarterly, Political Behavior, Congress and the Presidency, and The American Review of Politics and was a Fellow in the American Political Science Association Congressional Fellowship Program. “The College's faculty and students are fully engaged in the process of turning theory into practice, and I look forward to the process of exploring with them the possibilities for innovative programming and opportunities to attract students to the state capitol,” said Wrighton. “As part of this process, we will also be exploring ways to build ties across campus and in the community to further UIS' mission of inspiring students toward lives of leadership and civic engagement. I am pleased to be joining an institution dedicated to these pursuits." Wrighton’s appointment as Dean of the UIS College of Public Affairs and Administration will begin on July 1, 2013. For more information, contact Derek Schnapp, UIS director of public relations at 217/206-6716 or email dschn3@uis.edu. The University of Illinois Springfield is a premier public university that provides students with a high-quality liberal arts education, exceptional public affairs opportunities, and outstanding professional preparation programs. UIS has four core strengths: (1) a teaching-focused academic experience; (2) an abundance of opportunities to collaborate; (3) a right-sized supportive community; and (4) a tradition of educating public servants and leaders. UIS has four colleges: business and management; education and human services; liberal arts and sciences; and public affairs and administration. Commencement ceremonies for the University of Illinois Springfield will begin at 2 p.m. on Saturday, May 11, at the Prairie Capital Convention Center, Ninth and Adams streets in downtown Springfield. Of the 1,362 students eligible to graduate, 777 will participate in the ceremony. The UIS Commencement speaker will be UIS alumna and award-winning journalist Kathy Best, managing editor at the Seattle Times since 2007. She has helped the paper earn two Pulitzer Prizes – for breaking news in 2010 and investigative reporting in 2012. For those awards she credits the range of talents of a remarkable staff. Best earned her bachelor’s in journalism in 1979 from Southern Illinois University at Carbondale and received her master's degree in Public Affairs Reporting in 1990 from the University of Illinois Springfield. She joined the paper as managing editor for digital news and innovation, working primarily with the Web staff to create a 24/7 news operation, including use of social media, video storytelling and reader interaction. Two years ago, the Seattle Times reorganized the newsroom to break down the print/digital divide, and Best became the managing editor overseeing creation of stories and visual journalism for both print and digital readers. She oversees Metro, features, sports, business, photo and video and helps make sure that reporters and photographers are thinking about all storytelling options from tweets to narrative videos to Sunday enterprise and investigations. Best went to Seattle from Baltimore, where she was the assistant managing editor for Sunday, national and foreign news at The Sun. She joined the paper in April 2005 and helped shape the reporting of the war in Iraq and the controversies over warrantless wiretaps and mismanagement at the super-secret National Security Agency. Most of her editing career, however, was in local news. She was assistant managing editor/metro at the St. Louis Post-Dispatch, where, among other investigations, she directed coverage of the priest abuse scandal in the Catholic dioceses of Missouri and Illinois. 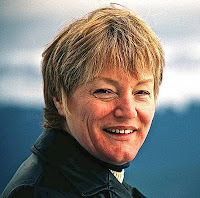 She also led the metro operation at the Seattle Post-Intelligencer, honing her breaking news skills on coverage of the World Trade Organization riots, a 6.8 earthquake and the nation's first legal whale hunt in a century. Before her move into editing, Best was a reporter for fifteen years, twelve of them for the Post-Dispatch. She covered Illinois state government for six years for the Post-Dispatch: breaking stories on political corruption in state hiring and contracts, and covering campaigns for Chicago mayor, Illinois governor, and the Democratic and Republican nominations for president. She joined the paper's Washington, D.C., bureau in 1992, where she covered the Supreme Court, Congress and national politics. During the great Mississippi River flood of 1993, she spent six months investigating fraud and mismanagement in the National Flood Insurance Program, prompting changes in the law and ruining at least half her shoes. Her first job in daily journalism was at the Quad-City Times in Davenport, Iowa. Two years later, Mike Lawrence, her mentor and bureau chief in the Public Affairs Reporting program, brought her into the Lee Enterprises Springfield Bureau. Best says that everything that came after that is his fault. Best’s family still owns and operates a weekly newspaper in Sullivan, Illinois. She and her husband, investigative reporter and author Andrew Schneider, live in suburban Seattle. Keith Miller, the Louise Hartman Schewe and Karl Schewe Professor in Liberal Arts and Sciences, has been chosen to serve as grand marshal. The student speaker will be Jinger Sanders, who will graduate with a bachelor’s degree in biology. Accountancy: Ryan Bouray – B.A., Devon Martin – B.A. (Peoria), Yixian Tang – M.A. Biology: Jenna Voigtmann – B.S., Nathan Grider – M.S. Business Administration: Abby Vorreyer – B.B.A., Paul Donahoe – M.B.A. (Peoria), Richard Johnson – M.B.A.
Chemistry: Jessalyn Fontana – B.S. Clinical Laboratory Science: Sylvia Renee Johnson – B.S. Communication: William Patrick Lilly – B.A., Janelle Gurnsey – M.A. Computer Science: Kyle Noland – B.S., Siobhan Mary McCarthy – M.S. Criminal Justice: Ryan McKanna – B.A. Economics: Wesley Selinger – B.A. Educational Leadership: Gina Coonrod – M.A. English: Natasha Pachecker – B.A., Kristen Chenoweth – M.A. Environmental Sciences: Manasi Nanavati – M.S. Environmental Studies: Joseph McNamara – M.A. Global Studies: Michael McColpin – B.A. History: Laura Weiss – B.A., Ariel Dunn – M.A. Human Development Counseling: Rosanna Ramilo – M.A. Human Services: Mark Thomas Middlebrook – M.A. Legal Studies: Michael Lipowsky – B.A., Robert Kulys – M.A. Liberal and Integrative Studies: Matt Bernico – M.A. Liberal Studies: Mladenka Totonchi– B.A. Management: Marlene Trone – B.A. (Peoria), Brian Spencer – B.A. Management Information Systems: Socrates Krishnamurthy – M.S. Mathematical Sciences: Tim Viscioni – B.A. Political Science: Shi Lynn Coleman – B.A., Elizabeth Kerwin Vogt – M.A. Psychology: Robert Torrence – B.A. Public Administration: Amy Uden – M.P.A., Matthew Montgomery - D.P.A. Public Affairs Reporting: Regina Garcia Cano – M.A. Public Health: Nitika Arora – M.P.H. Social Work: Amber Daniels – B.S.W. Sociology/Anthropology: Emily Newcomb – B.A. Teacher Leadership: Elizabeth Cook – M.A. Visual Arts: Allan Johnson Masterson – B.A. A number of events are planned for graduates, their families and guests, beginning with a reception for Peoria-area students on Friday, May 3. Separate brunches for CAP Honors graduates and online degree graduates are scheduled for Saturday morning, May 11. Members of the University of Illinois Springfield men’s baseball team shaved their heads in support of pediatric cancer research following their game on April 20. “They agreed to do it. I really didn’t have anybody who backed away and said ‘no, I don’t think I can do that’,” said Mike Zandler, UIS head baseball coach. The team has been raising money through online donations to benefit the SIU School of Medicine’s Camp COCO and the Vs. Cancer Foundation. “Anytime that you can give back to a foundation that’s helping fundraise for something, such as cancer that take so many lives from so many people, I feel like it goes without question that you should be a part of it,” said Derek Shomon, a UIS junior catcher. For many on the team, cancer is a very personal topic. Almost everyone has had a family member touched by the disease and this is a way of honoring his or her memory. This isn’t the first time the baseball team has volunteered. The team has spent over 1,000 hours volunteering in the Springfield community this academic year. “We’ve supported a lot of different charitable causes this year, Habitat for Humanity, the St. John’s Breadline, but this is an opportunity this is something tangible that these guys can look back on and show,” said Zandler. The head shaving event not only brought the UIS baseball team closer together, but strengthened its connection with its opponent, Missouri S&T, who also joined in the fundraiser. Zandler hopes to do it all over again next year and raise even more money. “I think it’s a great thing for cancer research, I think it’s a great thing for both institutions, and our conference as well,” said Zandler. Election results from the Spring 2013 Student Government Association elections have been certified. Voting took place on Wednesday, April 17 and Thursday, April 18. As in every election, not all candidates were successful in obtaining their desired position. There are numerous other leadership opportunities on SGA committees that students may wish to pursue and they are highly encouraged to do so. For information about election results or about student government, contact Cynthia Thompson, director of Student Life, at 217/206-6665. Almost 200 students and alumni from all three University of Illinois campuses came to the Illinois State Capitol in Springfield on April 10, 2013 to advocate for state funding, the Monetary Award Program (MAP), and other important issues. “The goal is to have all the legislators, all 177 of them, hear from students and alumni about the importance of the U of I,” said Amy Eichhorst, vice president of the U of I Alumni Association’s Illinois Connection. Participants were assigned lawmakers to speak with based on their home districts. This year, UIS had a record number of participants with 40 students in attendance. UIS senior biology major Jinger Sanders is a MAP grant recipient. She realizes the importance of the state-supported assistance and wanted to make sure lawmakers did as well. “It wouldn’t be possible for me to attend UIS if I did not receive a MAP grant, so that’s really important for future students to come,” said Sanders. Other students, such as John Tienken, a senior UIS political science and English major, came to the capitol pushing for higher education funding in general. Besides lobbying for the U of I, the day also serves as an educational experience as students learn about state government and interact with legislators. “It’s really experiential learning. The students have an opportunity to really see they can make a difference with the legislators, so they’re not only learning about the U of I, they’re learning about citizenship and what it means to be a good citizen,” said Eichhorst. This is the 5th year the University of Illinois Alumni Association has coordinated the day of action through their Illinois Connection Advocacy Program. 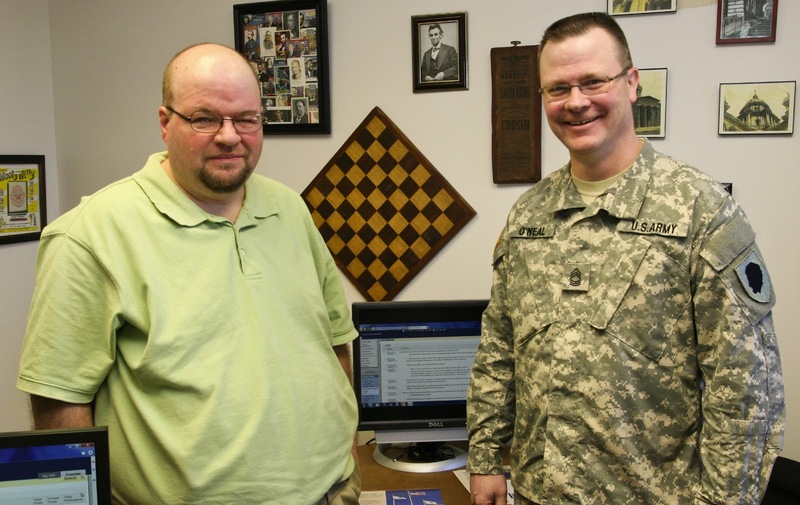 The University of Illinois Springfield is making it possible for active military and veterans to earn credit for prior learning, while sharing their experiences with other service members. Two new eight week online courses, starting June 3, 2013, will allow service members to share their experiences through an online discussion board. Participants will be allowed to moderate discussion and suggest topics. Students will also be journaling and writing a portfolio about their military service. One class will be offered exclusively to combat veterans, while the other is open to any active duty service member or veteran enrolled in classes at UIS. Students may earn up to 12 credit hours for their participation. "A course in which all fellow students have a military background will allow students to be more expressive, and provide insight into issues of which non-military persons have no understanding,” said Kevin Beeson, visiting clinical professor of Experiential and Service-Learning at UIS. Beeson will be teaching one of the classes, along with Sarah Stover, visiting assistant director of applied study term. Army Master Sgt. Anthony O’Neal, a UIS junior Liberal and Integrative Studies major, and Pastor Allen Ebbler of Casey, Ill., a U.S. Army Veteran who served in Desert Storm, came up with the idea for the classes and approached Beeson. “Being asked to be a part of the study group and formulating the ideas was something I took as a great honor. It was as if the faculty was reaching out and asking how can we help the veteran from the outside looking in,” said O’Neal. O’Neal and Ebbler hope the courses will help create networks between students with similar military experiences, so that they can provide support for each other. “When you get back from active duty, there is a space in time where it is hard to adapt to civilian life. To be able to come into a class where other students have the same background is an invaluable aid to helping through that transition period,” said Ebbler. Beeson and Stover will not play the role of a therapist, but will direct students to mental health resources when necessary. “We will also limit our participation in the discussion board, instead allowing the students to carry the discussion without our input, recognizing that they are the experts with regard to military experiences,” said Beeson. O’Neal realizes that not all service members will want to take part in the class, but he thinks it will serve as a good resource for those who decide to join. UIS offers 24 bachelor’s degree programs, 20 master’s programs and 1 doctoral program. Service members and veterans may apply for admission by calling 217/206-4847 or by visiting www.uis.edu/admissions. Current UIS students may enroll in the credit for prior learning courses starting on April 1, 2013. For more information on courses available to active duty military and veterans, contact Kevin Beeson at 217/206-6695 or kbees1@uis.edu.